Nowadays many of the electronic devices have become an integral part of our lifestyles. Hence, the questions like “Can I carry my laptop to Ladakh?” has become common on my blog. Since the addiction to using electronic devices has grown so much that some of us can’t even let them apart even when we travel to the remote regions of Ladakh or other high altitude terrains in like Spiti Valley. They have become a necessity in today’s day to day life and hence, once must know things to take care when carrying a laptop to Ladakh. Thinking of carrying Laptop to Ladakh? We tend to carry Laptops, iPods, iPhones, mobile phones etc.. to such desolate places like Ladakh either to avoid any boredom or to copy pictures, songs, backup etc to empty memories of our phones, iPods, cameras etc. The remote work culture is also growing and so the world of digital nomads. Generally, at most of the places in the Himalayas, these devices operate without much concern. BUT, if you are traveling to Ladakh or other high altitude places such as Pangi Valley or Spiti Valley with these electronic devices then you need to take the precautions mentioned below in order to keep them safe and running well at high altitude. The electronic devices are not waterproof so carry a good quality waterproof bag or pouch to keep these electronic devices. This will protect them from either rainfall or snowfall. The weather changes suddenly in places like Ladakh and Spiti Valley. And when you carry a laptop to Ladakh, it becomes important to safeguard it as well from such moisture or water. Hence, it is always recommended to have a good waterproof bag always on the list of things to carry while traveling to Leh Ladakh. Generally, Laptops have a non – specialized Hard Disk Drive (HDD) in them which are not designed to work above 3000 Meters i.e. 10,000 feet generally or as mentioned in their manual/guidelines stuck on them. Hence, there are chances of HDD Failure at these high altitude regions. Specially manufactured, sealed and pressurized disks are needed for reliable high-altitude operation, above 3,000 mtr (10,000 feet). So, it is best NOT TO switch ON your laptops or these devices at high mountain passes like Khardung La, Taglang La or high altitude regions like Pangong Tso, Tso Moriri, Tangste, Batal, Hanle etc which are quite above 10,000 feet mark. To understand better, these hard drives have a head which flies between the rotating disks/platters. When the air pressure is too low, then there is not enough lift for the flying head, so the head gets too close to the disk, and there is a risk of head crashes and data loss. If you are carrying the laptops with a Solid State Drives (SSD) you will not face a drive crash though. Hence, one more reason to buy the SSD enabled laptop or a MacBook apart from the awesome speed these drives provide us. Before you switch ON the device or Laptop in Ladakh, keep it out in the environment for some time so that the device adapt to temperature difference which might be present. Sudden temperature difference may cause condensation which may result in blown out electronic circuits. You have your iPod deep into some warmly dressed pocket, suddenly you take it out into freezing cold temperature where snow is around and switch it ON. This may cause temperature difference which may result in a blown out circuit. So, in such situation best bet is to place the device in the outside environment for 5-10 minutes and then switch it ON, just to be on a much safer side. Always shutdown or switch off the electronic device when you travel. If you keep them on standby or hibernate etc modes, especially laptop then a sudden shock or jerk may jeopardize the whole circuit or HDDs in a faulty device or HDD. In the shutdown conditions, these devices can withstand a shock to a much greater extent. Hence, when you carry your Laptop to Ladakh, always make sure you do a shutdown before you start your travel from Leh to Nubra Valley or Leh to Pangong Tso or other sightseeing in Ladakh. In some cold conditions especially with the temperature around or below freezing point, the battery exhaust pretty fast and getting a power source at a campsite of some high altitude lake or region will surely be a challenge. So, if you really want to have a longer battery life try then keep your batteries or devices in some warm clothes or padding. In the end, generally, a sticker pasted everywhere but yes you should be responsible for taking care of your belongings from human theft or careless misplacement by yourself. Though there is no harm in taking the laptops, iPods, iPhones, IPads etc for music, movies, backup etc while you travel to Ladakh. But, I personally avoid taking them as much as I can to enjoy the nature and culture of the region more than enjoying myself alone. Since nowadays the flash memory is getting cheaper and cheaper you can definitely get one or two extra memory cards for your camera and remove the reasoning of carrying the laptop to Ladakh just for a backup sake. Having said that, it is a personal choice whether to carry these devices especially laptops or not with you. But, my concern was if you are taking any of these devices then do take care of the precautions mentioned in the article above. I would really appreciate and look forward to your inputs or suggestions or comments on carrying the laptops to Ladakh and other electronic devices while you travel to the Himalayas. Any other precaution you can think off? It will be great if you can share it with us too. We are planning to do the spiti circuit from 20 May – 1 June. Was reading about the list of precautions while carrying laptops. Just wanted to check with you if it would be a safe option to use the laptop in kaza ? Yes, it will be safe to use laptop in Kaza. Just while carrying it around, shut down and then travel. In the hotel or being stationary somewhere, using the laptop shall be fine. In case you have an SSD, there isn’t anything to worry anyways. Inspired by your blogs and the serenity of Leh- Ladakh we would like to plan our travel for this worlds most adventures road trip. Request you to kindly suggest us best route / itinerary and trip advises. We will be glad to follow all your recommendations starting from vehicle change, date change, plan change every thing, But we want a wonderful and lifetime memorable trip. I will suggest to make the trip in later in the season when roads stabilize and specially for vehicles like sedna and hatchback best time to make the trip is Spetember when there are less water crossings and settled road conditions. You may bruise the car badly in early season when even roads have slush and snow. 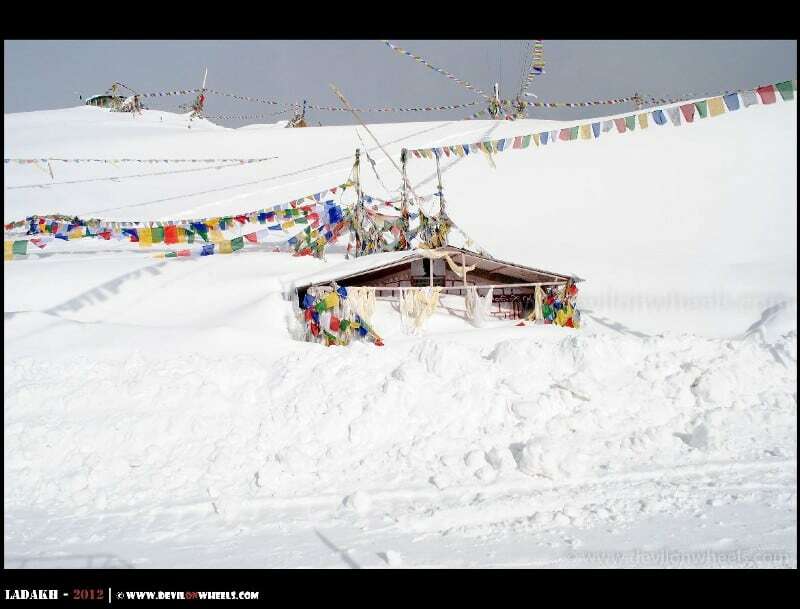 Also, Manali – Leh Highway will not be open during that time of the year. If you are OK to take a high GC vehicle, I wills ay then it is fine but make a trip in June in that case so that you have both Manali – Leh and Srinagar – Leh open. Aditya, I hope you are not planning to travel from Kaza to Manali as snowfall has already started by end of October it will be very very risky to travel on that road. So, assuming you will be coming back the same route from Kinnaur I will say you should go prepared with heavy woollens. Make sure you are driving slow on roads with crushes stones as it tends to puncture the tyres. Carry Slime for contingencies of punctures as with those roads they are bound to happen mostly. How many days do you have? I am traveling from Dharamasala to Leh. I wanted to book the Manali -leh tour bus. I signed up for an account on thier website but I do nt see the bus listed as an option . I wanted to travel from manali-Leh on the 13th @9:00 arriving on the 14th at 7:00pm as mentioned in the schedule. Is it too early to buy a ticket on that tour bus? Is that why it’s not listed? Were you planning this 13, 14? Jay, it shall be fine to take the laptop to Dalhousie. can you suggest a place in delhi where we can rent an oxygen cylinder, we are driving by pajero, so can we put a cylinder and drive. will the police and army will not interfere in this? i am planning to go to Leh via jammu srinagar and come via manali in alto 1000cc.with my wife and daughter (adult) 12-13 day trip from 4th July to 17th July 2015.
my main worry is , is it possible in Alto. i have already given the car for getting the ground clearance increased. this is the first time i am planning this taking clues from DOW and google. Shekhar, yes it is possible in AAlto and many people have done it. However there will be challenges for sure and there can be times where there will be underbelly hits in the car especially at Manali – Leh Highway. For hatchback/sedan taking on Manali – Leh Highway Or Spiti Valley via Manali Or Ladakh, please refer the link: FAQ | Can I do Leh – Ladakh / Spiti / Manali – Leh trip in Hatchback or Sedan? for more details. Thank you, glad it was useful for you. Chirag, it is best to consult a doctor for the medicines. Regarding carrying oxygen cans, they are not at all useful rather if you are going by your own vehicle consider renting an oxygen cyclinder or two small ones that last around 2-3 Hrs along with the kit. They can be returned as well. Kunal, you do not need any permits as long as you are following the conventional routes in Ladakh. Regarding self drive Innova, I hope it is either a private number or black number plate vehicle. If it has yellow number plate then taxi union in ladakh will not allow you to drive to Nubra and Pangong Tso. Kindly advise if this is ok or you advise alternate . Thanks so much … One thing I would like… How is walking all they to Leh from Srinagar.? 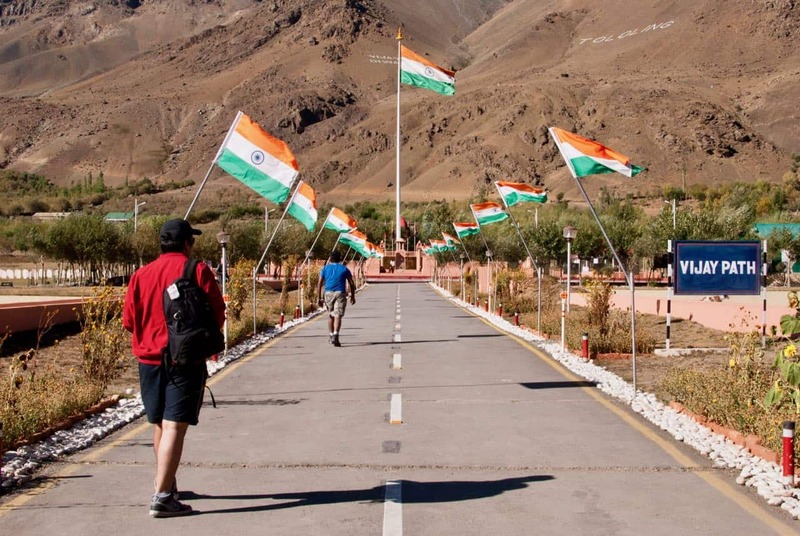 You mean, you want to walk from Srinagar to Leh over 434 KMs at high altitude? How many KMs of trek you can do in a day? Are you accustomed to high altitude treks? Profusely shocked by this question !!! What about IPad….can we carry iPads ? Ram, they can be taken as they do not use HDD rather use SSD equivalents. I am a senior citizen,we will be going to Leh on 6th June ,can you please help me to plan out the trip,we will be staying there for ten days.God Bless you. Sukla. How are you planning to reach Leh and how are you planning to come back from Leh? Are you flying in and out? is it safe to carry use smart phone like note2. waiting for your useful information. Yes, it is the header mechanism with plates that causes the issues. in SSDs or memory cards there isn’t any such issue. Thank you bhai ! I hope it proves useful to many travelers taking trip to Ladakh and carrying their laptops there. Thanks Dheeraj ji, I was planning to take my laptop for srinagar-leh laddakh-manali tour, but now after ur valuable information, i’ve planned to purchase two or three extra memory cards for my rour. Thanks again. Good to know that it proved useful for you. However, it is safe to carry your laptop provided you follow the above tips mentioned there. It is mainly the very high altitude that cause problems and if you follow the tips / precautions mentioned above, it should be OK. However, best is to carry more memory cards because indirectly it means less liability to carry on the adventure trip. Thanks Dheeraj! I recently had a HDD crash (external) and lost almost all the photos which was in it. I didnt backup my stuff too. 🙁 Now I am desperately searching for better backup mechanisms. DVDs/memory cards/external hdd/online storage.. Any suggestions here? Aah, a bit tricky I will say for a novice like me :)… Still I will say, HDD external do tend to crash with high probability when you plug them out in running mode. Some care is definitely required and since it is portable the shocks may also come into picture though not much when not in running mode. Now, if you compare the price of SSD over HDD, SSD is fair margin ahead in terms of per GB space. Though SSDs are fast and reliable but also depends how much capacity you burn over them. Usually it is said that a SSD with about 60% filled space lasts longer than an HDD but then you have a price in question. My favorite for a backup is desktop HDD with USB casing. I do a backup into them and then keep them safe (stationary), this is the original backup I keep (for pictures and mails and blog/website content). Then I also keep one duplicate copy onto DVDs (blue ray discs better choice since they allow more capacity too) and for all important documents I add an additional backup of trusted dropbox free space and google drive space based categorization and importance. I am not much mobile, so do not carry external HDDs though have one of 120 GB. Categorization is very important as per me and then choosing the relvant source. Thanks Dheeraj! So many backups.. Good info too.. 🙂 I will definitely use one or two methods..
sir very nice info. what about memory cards in our cameras?